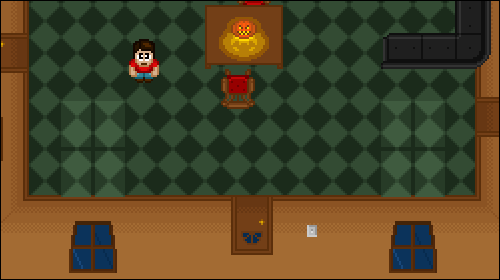 Halloween House is a game made by Magnus Nilsson for a Halloween game competition. Use the shift key to access your inventory, and press the control key to interact with objects. The game can be saved by accessing the computer in Michael's room.